"Discover the magic! 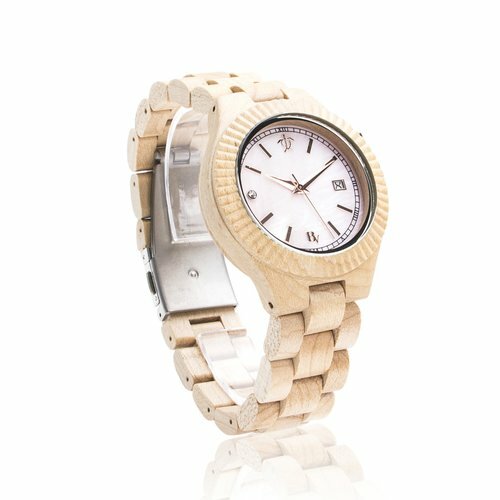 A symbol of prosperity and infinite beauty"
Watch band can be adjusted by removing links. Koa Wood is a revered and sacred wood native to the Hawaiian Islands. It is considered the most beautiful of hardwoods. Held in light, the warmth of the wood shines with streaks of flaxen grain. 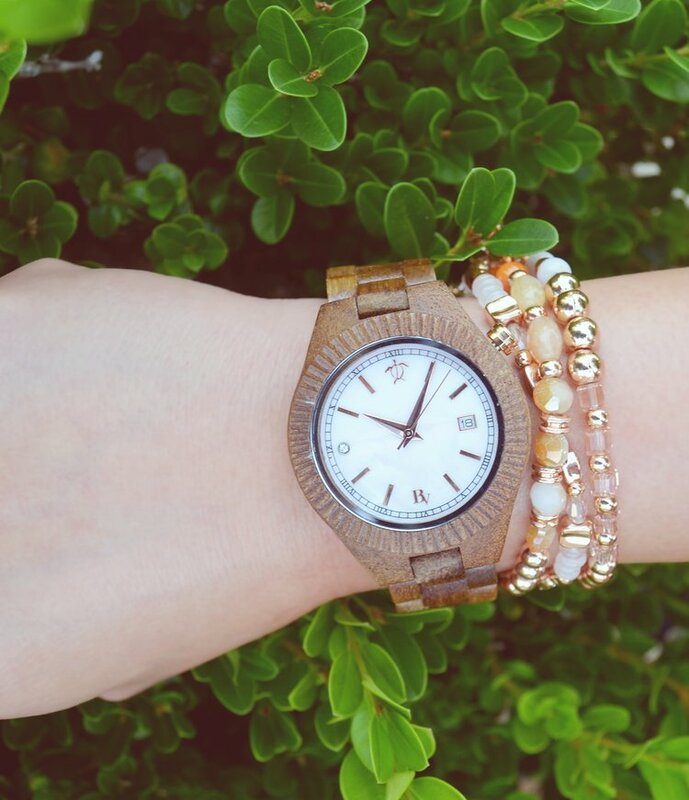 In Hawaiian, Koa means brave, bold & fearless warrior, and is symbolic of courage and strength. Ancient Hawaiians used Koa Wood for canoes, surfboards and body boards. Koa trees are protected, and our wood is only harvested by licensed entities. BEAN & VANILLA watches are fitted using only Crystal Sapphire, the second hardest substance on earth next to diamond. It rates 9 around the Moh Scale and is just behind diamond which measures 10. Do not be fooled, other watches boast of strength and durability using mineral glass, but only Crystal Sapphire can truly be scratch-resistant and least prone to shatter, giving you an unblemished look and longevity for your watch. 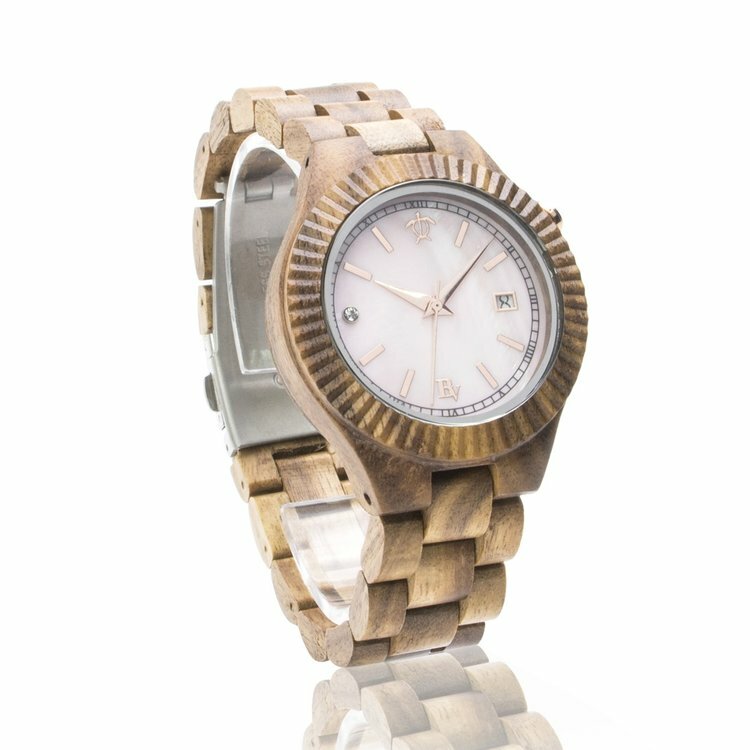 This eco-friendly, 100% natural Koa Wood Watch is sweat and splash resistant. 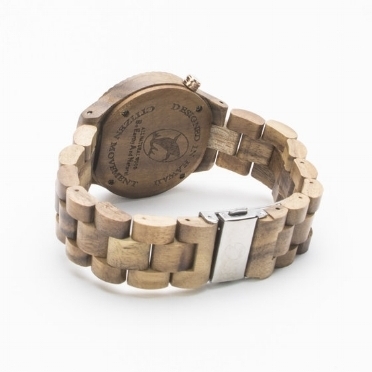 Light-weight wood is combined with a logo-stamped stainless steel push-button deployment clasp. Watch glass is made of scratch-resistant, non-glare Crystal Sapphire. Date is displayed on dial. Wood is artificial & toxin free, hypoallergenic, and sustainably sourced. Box and cushion watch holder are included. Watch comes with One Year Manufacturer Warranty. Watch uses Citizen Movement. Mother-of-Pearl: Mother-of-Pearl comes from the iridescent, delicate inner lining of shell. Its true beauty is lost in photographs - it catches light and reflects with many shades of silvery pink. This is the area where pearls grow. Known for its healing abilities, it also is said to attract prosperity, and to protect from negative energy.